Explore the galaxy with BB-8, Rey, Han, and Chewbacca in this Millenium Falcon collectors gift set. 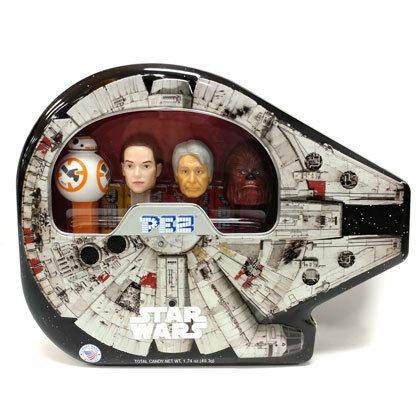 Includes 6 pez refill packs. Total candy weight is 1.74 oz. Approx. 10 inches across at the widest point and 8 inches tall.